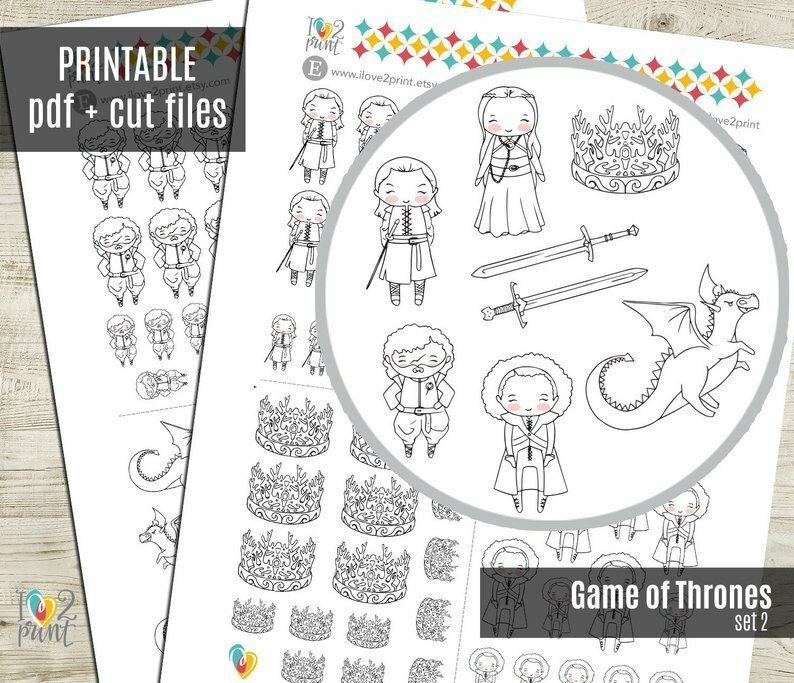 These Game of Thrones Bullet Journal ideas will have you ready for the upcoming finale. 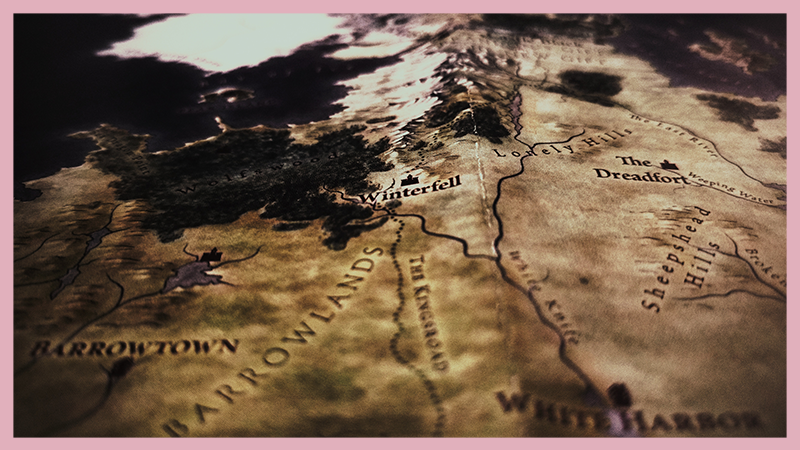 As we approach the final season of Game of Thrones, there’s no better time to decorate your bullet journal accordingly. Everywhere I go and everyone I talk to is counting the days until the premiere of the final season of Game of Thrones. I’m almost certain my brother has watched seasons 1-6 three times through in preparation for it. 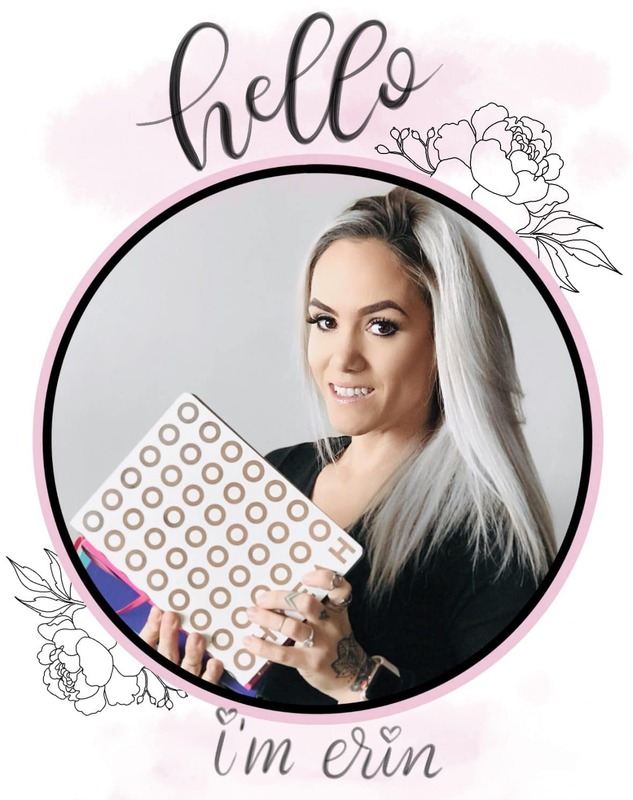 If you are as obsessed as the rest of the world seems with Game of Thrones, it’s time to let your excitement out in your bullet journal. 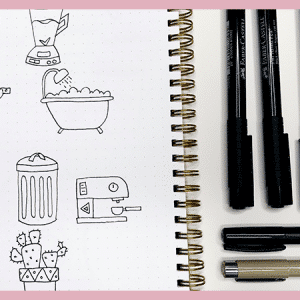 Even if you aren’t confident in your drawing abilities, I have found some awesome sticker sheets to help you decorate your bullet journal. 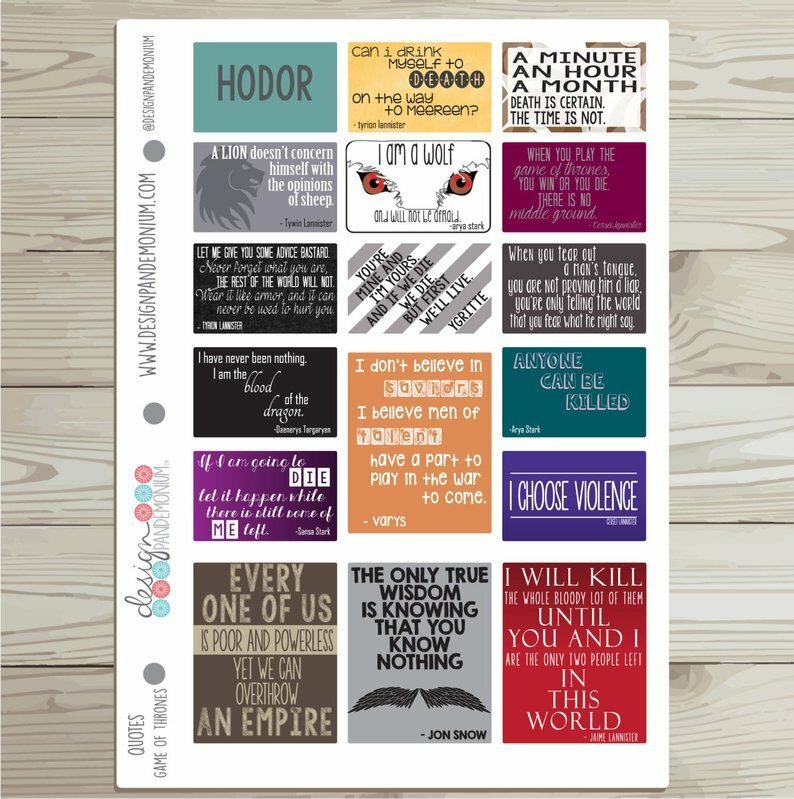 Also, be sure to check out the TV show tracker printable in my shop. *Spoiler Alert*. I love how perfect and detailed this family tree tracker is. If you want to keep track of the many deaths in Game of Thrones, this spread is an excellent idea. This weekly spread with the Game of Thrones house banners is creative but also doable. Try looking up the house logos on your phone or tablet and then carefully position your device under your page and trace over them if you want to give it a try. 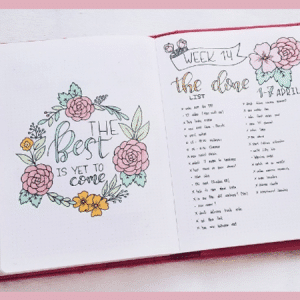 Here are a few other weekly spreads to take inspiration for during the upcoming weeks. How amazing are these Game of Thrones themed cover pages? While April has already started and you may not be able to use them this month, you could incorporate them into a weekly or collection spread. 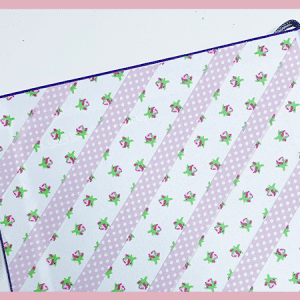 And how about these calendar spreads? Need to set up a workout calendar, editorial calendar, or calendar to track TV show air dates? 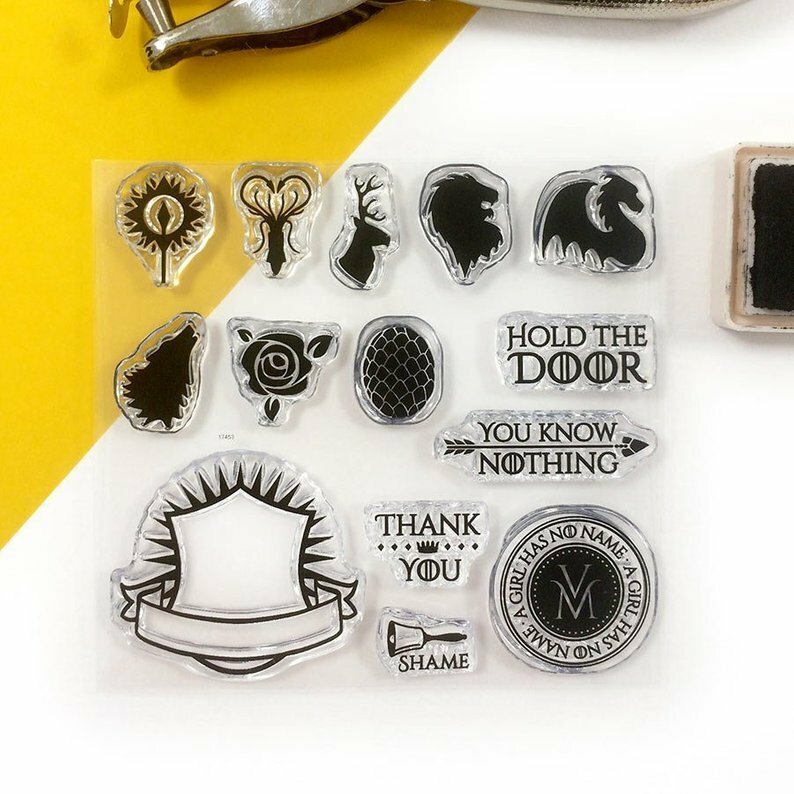 These would be perfect to show off your love of GOT. These habit trackers absolutely blow my mind! 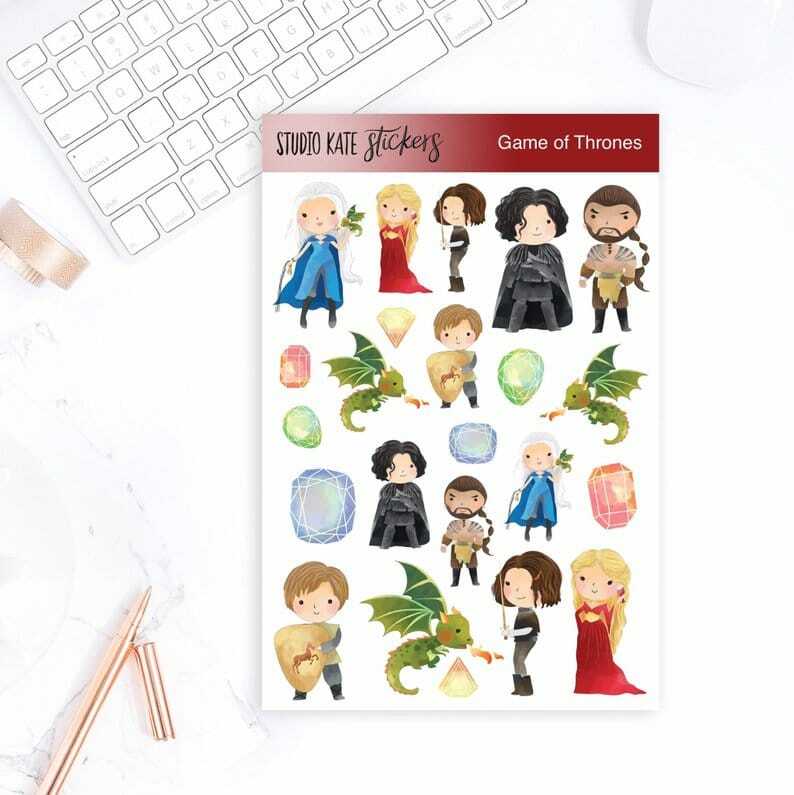 These sticker sheets and stamps are inexpensive and can quickly turn a plain weekly spread into a Game of Thrones planning haven. On a scale of 1-10, how excited are you for the final season of Game of Thrones? 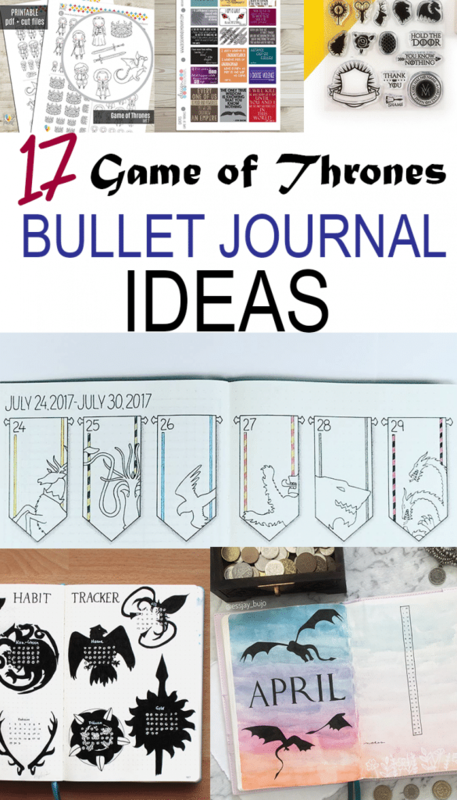 Will you be incorporating any of these Game of Thrones bullet journal ideas into you bullet journal during the month of April? Let me know in the comments below.